Not every cover is there to facilitate advertising. Creative building covers camouflage and stimulate interest in any major building renovations or new builds. 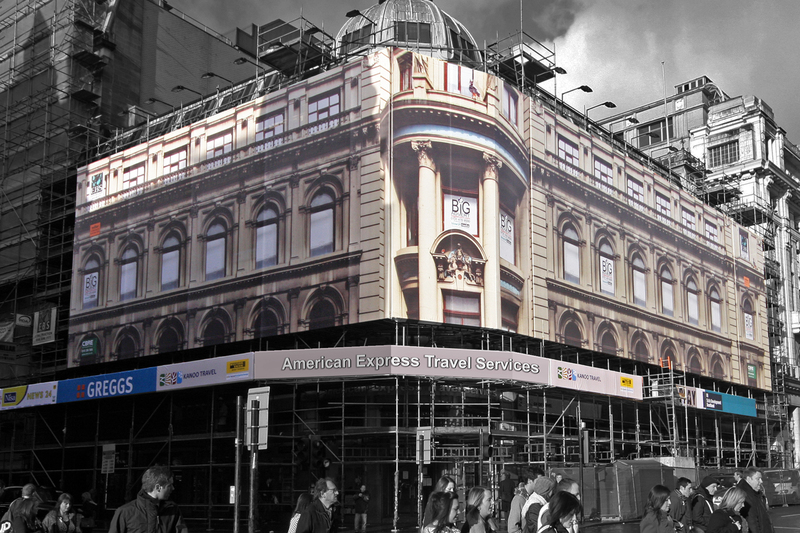 The image may present a photo realistic or enhanced image of the actual building or it may present a future image, imaginary vision or work of art. 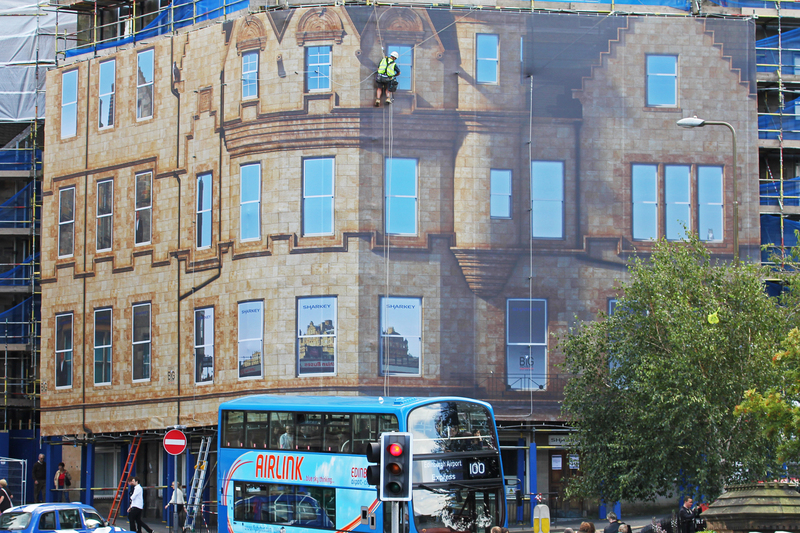 BiG Advert can design, print and install any size or type of building wrap onto any building anywhere. Our specialised print and installation partners share the same ethos as BiG Advert and have worked with us since we started and are considered the best in the business. The three examples demonstrate the attention to detail e.g. photo realistic reflections, shadows etc. 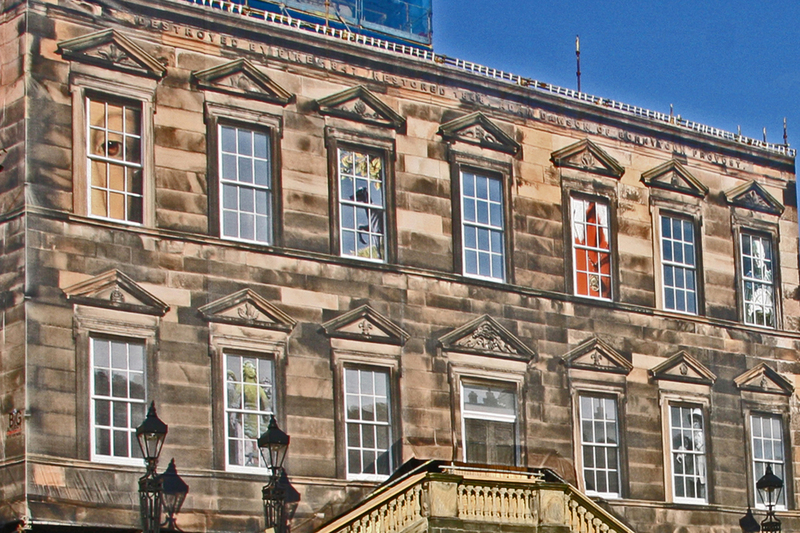 ; and use the original building as a base with nuances added such as Mary Queen of Scots eye in the first image, Eric the cat in the third image. The potential for the images is as broad as your imagination!